Fourth studio album by French electronic music duo Daft Punk. 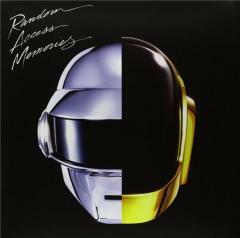 The title, 'Random Access Memories' is said to refer to the band's interest in the past. Nile Rodgers of Chic features on three tracks including the single 'Get Lucky'. The album, featuring the #1 single 'Get Lucky', also entered the UK Albums Chart at #1.